Crayola Fine Line Fabric Marker is safe, efficient and does not require ironing. Students can apply the marker directly to the fabric. Draw in detail on any colored fabric & watch the colors pop! 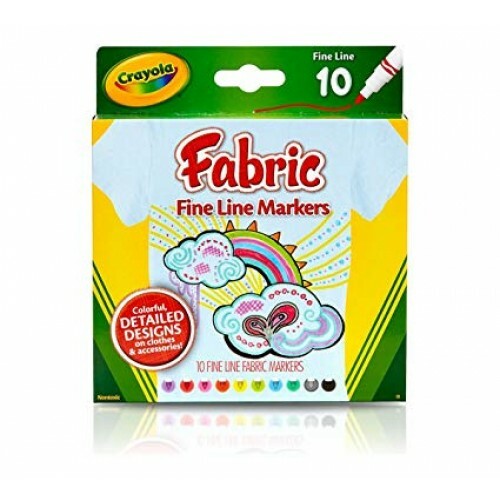 Unique Fabric markers are designed to work on dark AND light colored fabrics!